There are lots of different types of boxes out there. Who knew that there were hundreds of variations of corrugated cardboard boxes? Some of the terminology used to describe boxes is dense and downright confusing. What does all of this mean? First, rest assured that you don’t need to memorize any complex codes or charts. You just need to understand enough to find the cardboard boxes that suit your business. In this post, we’ll do a brief overview of the different types of corrugated cardboard boxes so you are prepared to make the right choice. In cardboard boxes, fluting is formed by the arched shapes (flutes) that create space between layers of cardboard. Fluting helps make cardboard boxes durable and protect any contents inside. Flutes are available in different sizes (measured by flute height, which dictates how thick a cardboard box’s walls are) and densities (measured by flute grammage, which shows how dense the paper in a box’s walls is ). What is the difference between single wall and double wall boxes? 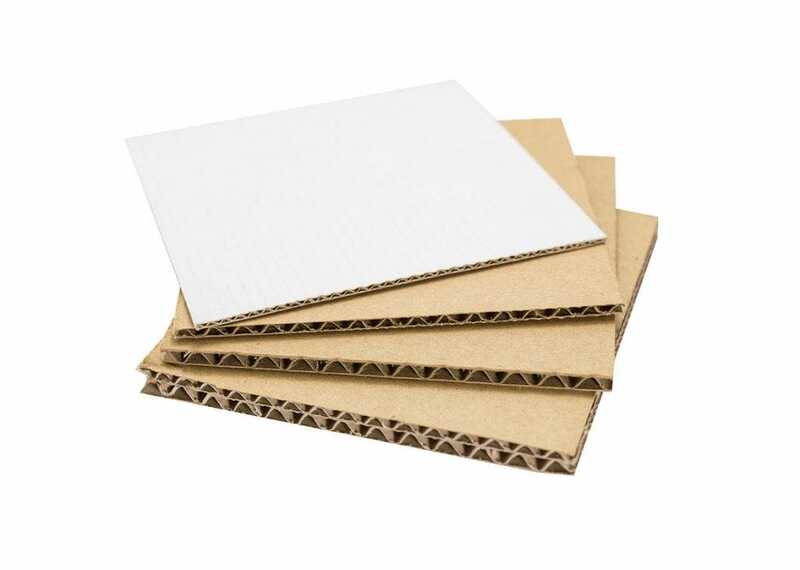 Single wall cardboard boxes have walls that contain one layer of fluting. In other words, each box is made up of three layers – an outer layer of paper + a single layer of flute + an outer layer of paper. These boxes are lightweight and suitable for products of average weight and fragility. DS Smith’s single wall boxes have a thickness of 3 mm and can ship and store packages with a maximum weight of 10 Kg (or 5 Kg if sent on pallets). Double wall cardboard boxes feature walls with two layers of fluting. Each double wall box is made up of five layers – an outer layer of paper + a layer of flute + a layer of paper + another layer of flute + an outer layer of paper. These boxes are stronger and more durable than single wall boxes, so they are more suited to heavier items or products that need additional protection and cushioning. DS Smith’s double wall boxes have a thickness of 5mm, and can support up a weight of up to 20 Kg (or 10 Kg if shipped on pallets). Maximum weight recommendations for each box type may vary, depending on the type of product being shipped, the void fill or protective material included and the shipping method used. How do you know if your box is sturdy enough? Don’t take any chances with your products. Use DISCS ­– Drop, Impact, Shock, Crush, Shake – DS Smith’s industry leading distribution testing process, and get tailored packaging recommendations that fit your distribution model. DISCS will put your products through real-life shipping scenarios to determine what packaging will offer the best protection. After being exposed to damage risks – being carried and loaded onto different modes of transport, possibly dropped and bumped along the way – you will be sure your package is sturdy enough to survive the journey to your customer. FEFCO is the abbreviation for The European Federation of Corrugated Board Manufacturers, which represents the umbrella organisation for the European Corrugated Board Industry. FEFCO has developed an international catalogue of styles, organised by code, to ensure that corrugated packaging is simple and recognisable from country to country. Most e-commerce owners don’t need to know much about FEFCO styles. It’s simply helpful to know what they are. But if you find yourself looking for a specific type of box or making a bespoke order, you will need to understand FEFCO codes to be able to explain the style of box you want. FEFCO codes give you a universally recognized vocabulary to describe a box’s features so you receive exactly what you need. How can I get help picking the right type of box? If you’re not sure which type of box you need or you think you may need a large-quantity custom order, reach out to DS Smith’s customer support team. Our experts are always happy to answer questions and guide you to the packaging solution that is best for your business . Get in touch with DS Smith.